Cokie Roberts is a political commentator for ABC News and NPR. In her more than forty years in broadcasting, she has won countless awards, including three Emmys. 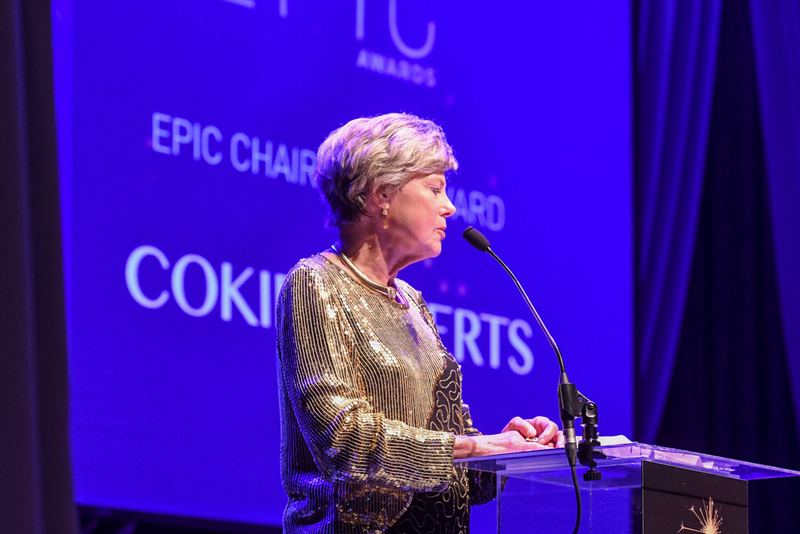 Roberts received the EPIC Chairman’s Award during Montgomery Community Media’s Second Annual EPIC Awards ceremony. She was presented with the award by Montgomery Community Media’s Board President Jeffrey Slavin at The Fillmore in Silver Spring on April 25.